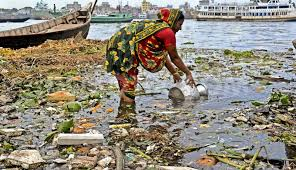 Water pollution includes marine pollution threatening 58% of the world’s ocean reefs as well as 34% of its fish. Half a billion people lack access to clean drinking water and 25 million people die annually from drinking contaminated water. Criminals perpetrating such crimes include businesses and governments. Interpol’s crime unit has identified nine different types of water pollution ranging from water spill-off to the use of cyanide for fishing. Their handbook takes a globalised approach to solving such issues. The handbook can be downloaded here: volume I; volume II.